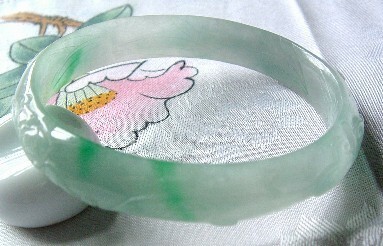 Slightly curved inside, thinner, fei cui bangle for the smaller wrist is highly polished and semi-translucent. 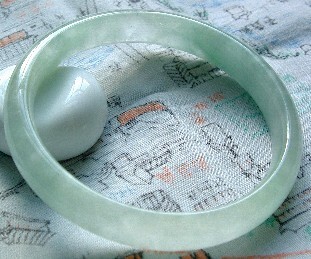 This unique bangle is two-thirds frosty white-green with bright spring green accents blending to a soft lavender-white with deeper lavender hues. Intriguing, ethereal, versatile. 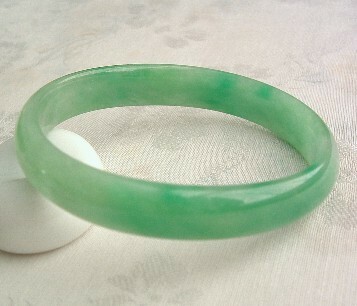 Slightly curved inside, wider, fei cui bangle for the smaller wrist is highly polished with semi-translucent with one-half in white marbled with hints of green and silver and one-half in marbled jade green hues. 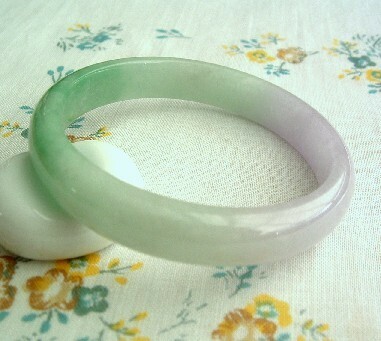 Lovely, harmonious, healthy. 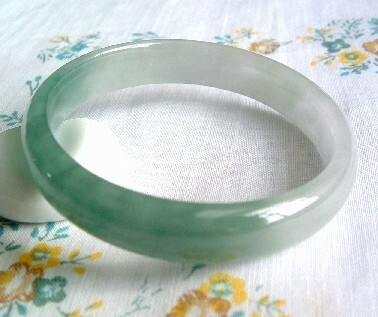 classic silver and imperial green accents. 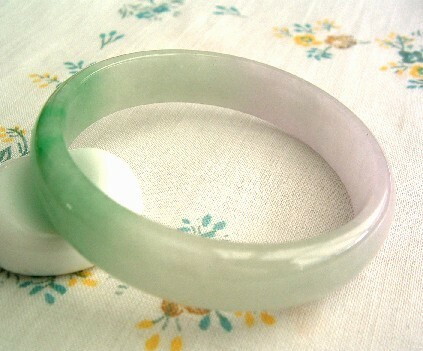 Slightly curved inside, easy to wear width, fei cui bangle for the smaller wrist is highly polished and semi-translucent with a distinct lavender blush on 1/2 and soft green brightening at center on other 1/2. Distinctive, versatile, dreamy. 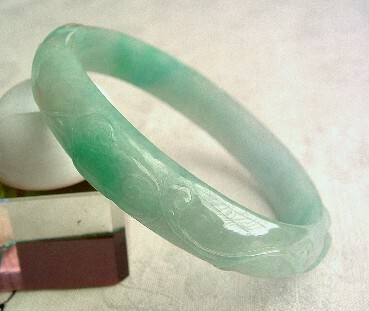 leaves, tendrils, and more. Intriguing, lively. 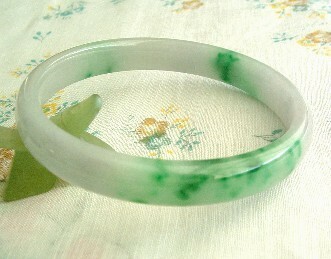 Flat with etched leaves inside, easy to wear thickness, carved bangle in icy, light green with spring green accents. 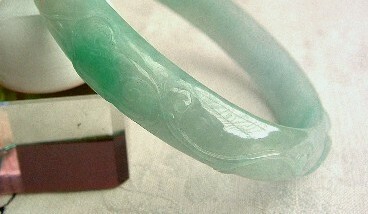 The carving is leaves, buds, and cicada.